Do you ever find yourself strolling around when you suddenly stop and wonder if there's a nearby place that's good for a snooze? Then boy do we have the site for you. 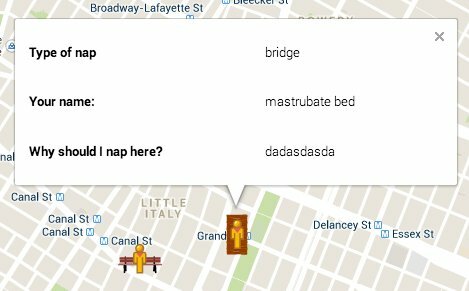 Enter Google Naps, a user-generated, Google Maps-based site that lays out the best places to take naps across the world. Yes, the entire world. Hello, please don't be mad this is just a joke, a parody. We don't mean to damage your brand or anything, we just want to bring a smile on the faces of Google fans. So please don't take this to court, we only have a few hundred Euros in the bank. And we also don't want to go to jail because we're too busy with other things at the moment. But whenever you are in the Netherlands you can have a nap on our couch if you want, just e-mail us: kakhiel@gmail.com. We can also make coffee and bake eggs if you like that (for a small price). Even though Google didn't make the site itself, it's still on board with the concept. 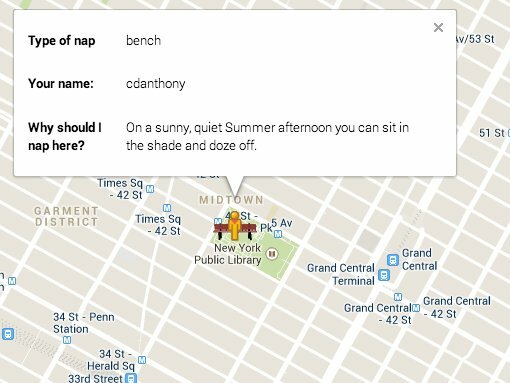 "As longtime supporters of napping, we’re thrilled to see Google technology connecting the world’s sleepiest citizens with places to catch some zzz's," the company said in a statement to The Huffington Post. So OK, it's a parody site, but it's also a potentially valuable service in a way? Take this note about Bryant Park in New York City being a nice spot for a snooze, which we can personally attest to. The people need to know. Nevertheless, we here at HuffPostTech ask people the world over to combine their collective knowledge to make Google Naps the world's next great website. 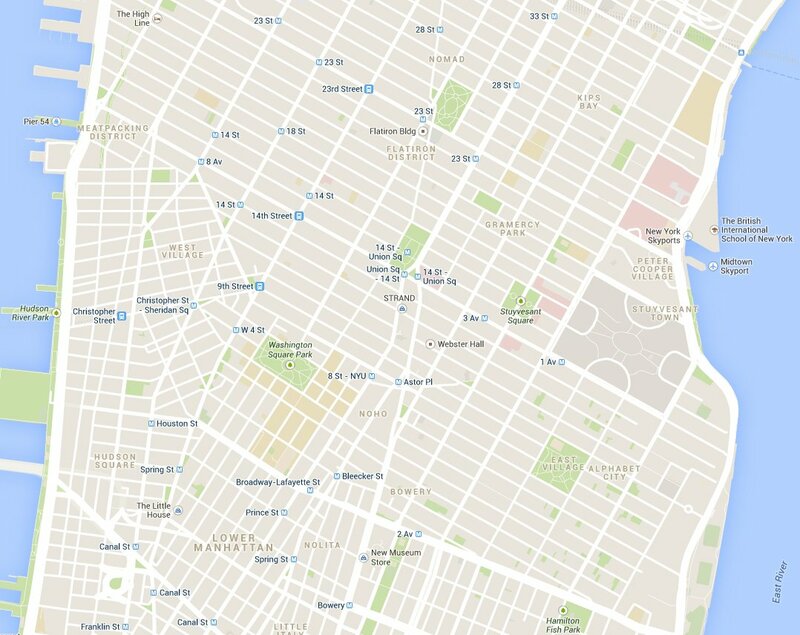 And can we start with mid-Manhattan? It could use some work. This article was updated with comment from Google.